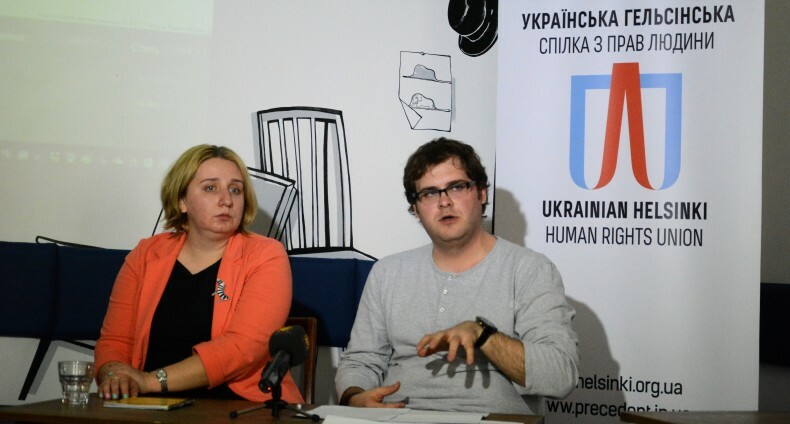 On April 14, 2017, at the Harms coffee house in Kyiv, the Ukrainian Helsinki Human Rights Union presented a new resource for civil society. According to Mykhailo Tarakhkalo, Head of the Strategic Litigations Center of UHHRU, it was made possible through long work of the Union in the field of legal assistance to victims of the military conflict. 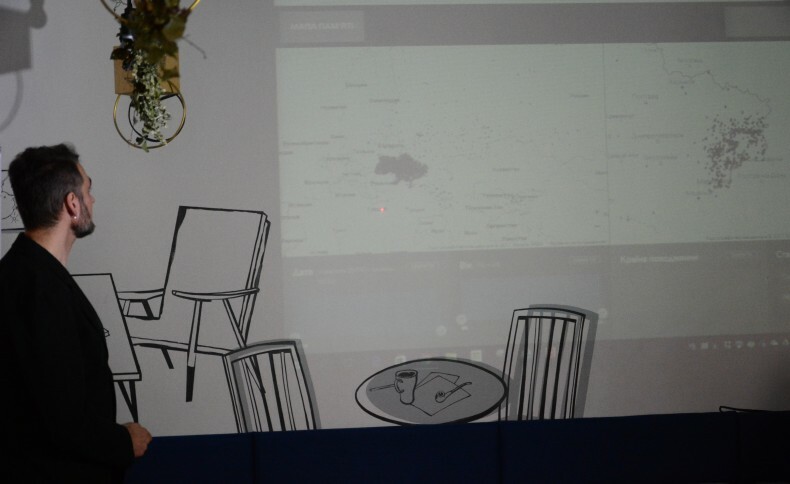 As noted Oleksii Bida, Coordinator of the Center for Documentation of UHHRU, the interactive Memorial Map is a visualization of the database of all persons, who died during the armed conflict in eastern Ukraine. Developed by the Center for Documentation, the Map shows the places of death of civilians and combatants from both sides and places of origin of the victims. Services of the map allow analyzing statistical data by age, gender, status, date of death and the country of origin of the victims, and getting brief information about a specific person. This approach, together with the procedures of protection and verification of information, recovers an accurate picture of the military conflict while preventing the manipulation of history for political purposes. A pilot version of the new interactive resource is available in test mode to all users of the Internet resources. It will be improved in cooperation with partner NGOs and initiatives using official resources of executive bodies. 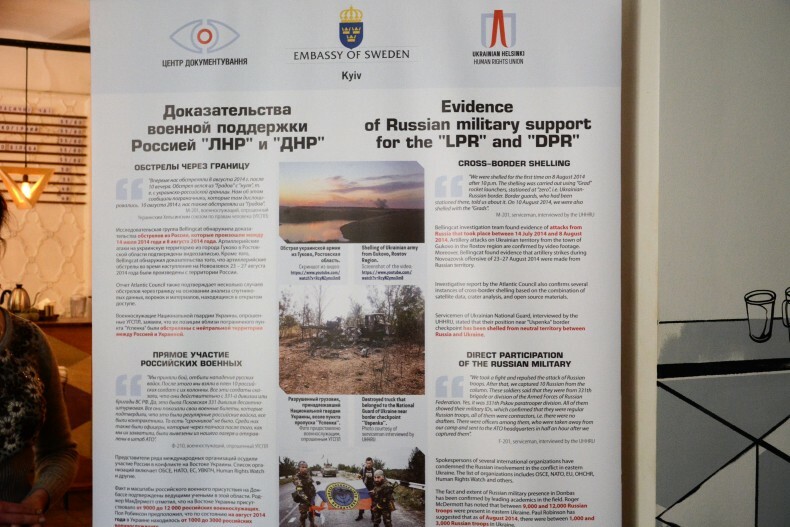 Oleksandra Delemenchuk, an expert of the Advocacy Center of UHHRU, drew attention to the fact that the Memorial Map continued the international practice of documenting facts of the military conflict based on the principles of objectivity, fairness, and indifference towards politics. An example can be found on the map of victims of the conflicts in Afghanistan and Iraq. Documentation of the facts of the death of persons, regardless of their affiliation to the parties, is part of so-called Transitional Justice, which promotes peace processes, redress, and justice for victims of conflicts. In the world practice, there are many organizations, engaged exclusively in collecting information about the victims of military conflicts. For Ukraine, the most tangent is the experience of the former Yugoslavia, where at least three centers had been established, namely Documenta (Croatia), the Humanitarian Law Center (Serbia), the Centre for Research, Documentation and Publication (Kosovo), the Research and Documentation Centre (Bosnia and Herzegovina). Until 2013, the latter has collected the database, titled the Bosnian Book of the Dead. It contains 97 207 confirmed names of citizens of Bosnia and Herzegovina, who were killed during the war between 1992-1995, and additional 5 100 unconfirmed names. For Ukraine, the experience of the Natalia Estemirova Documentation Center in Oslo that classifies violations of humanitarian law committed during the armed conflict in the North Caucasus region of Russia is also interesting. Maksym Yelihulashvili, an expert of the Human Rights House-Chernihiv, stressed the importance of documenting the victims of the conflict from the point of reconciliation mechanisms. He recalled the Charter for the recognition of every casualty of armed violence, launched by 2011 in London. More than 50 humanitarian and human rights organizations around the world adopted it. The Charter requires for the states to provide registration, identification and public recognition of each person, who died from military violence. These requirements, developed on the basis of experience and information of the international network of non-governmental organizations and research institutions, are extremely important for Ukraine, where there is no single database of persons, who died during the conflict. 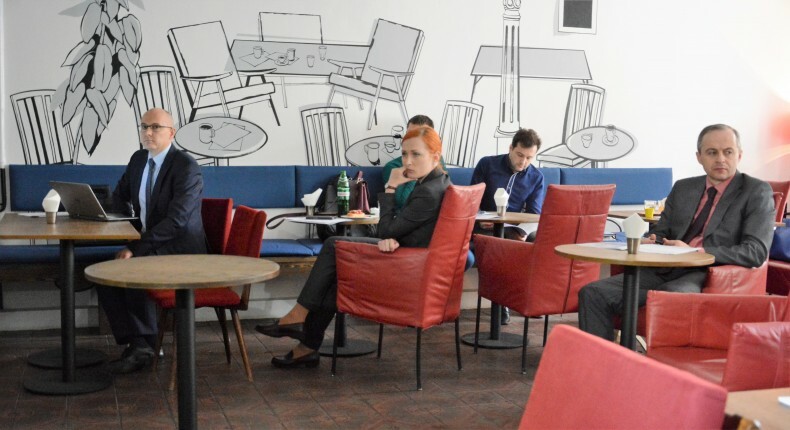 Moreover, three different bodies investigate crimes committed in the conflict zone independently and uncoordinatedly, namely the Main Prosecutor’s Office, the Security Service, the Ministry of the Interior of Ukraine, in accordance with their jurisdiction. Therefore, support on the part of authorities, and civil society partner institutes is crucial for the effective operation of the Memorial Map. 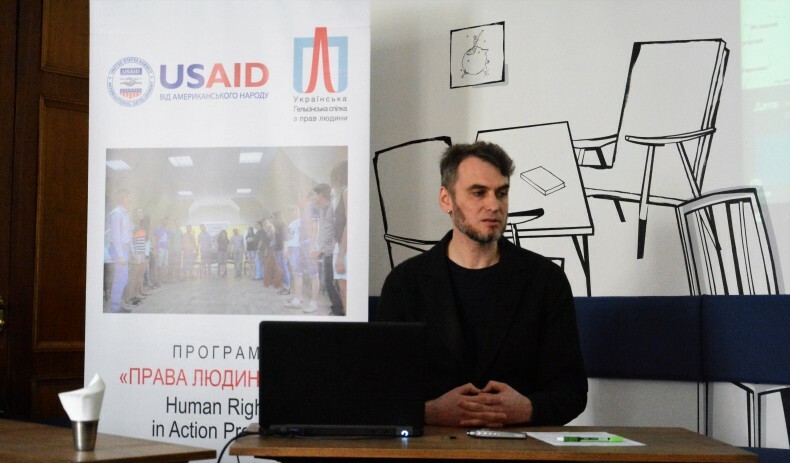 The event is held within the Human Rights in Action project, being implemented by the Ukrainian Helsinki Human Rights Union and founded by the generous support of the American people through the US Agency for International Development (USAID). The American people, through the United States Agency for International Development (USAID), have provided economic and humanitarian assistance worldwide for 55 years. In Ukraine, USAID’s assistance focuses on three areas: Health and Social Transition, Economic Growth and Democracy and Governance. USAID has provided 1.8 bln technical and humanitarian assistance to Ukraine since 1992. For additional information about USAID programs in Ukraine, please visit our website: http://ukraine.usaid.gov or Facebook page at https://www.facebook.com/USAIDUkraine.